Save $200 – $500 on a Full Installation. Top-Quality, Durable Materials, Fast Installation and Many Designs. Resistant to the harsh weather conditions. Beautiful, classic red cedar wood with long life. Secure and economical. Automatic access control. Backstops, batting cages, tennis courts and netting. Adding a great-looking fence to any residential or commercial property is one of the best investments you can make for security, beauty, increased value, and more. 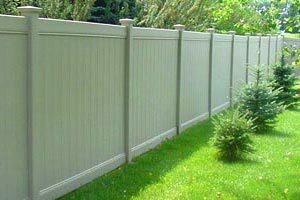 Choosing the right Minnesota fencing company for materials and installation is critical to your fence’s appearance, long life, along with your satisfaction and pride in your property. 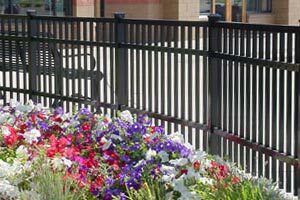 Since 1983, Our company has been the top choice of Minnesota property owners when it comes to beautiful, long-lasting fences at affordable prices. We’ve earned that reputation because we’re 100% dedicated to quality and professionalism on every project. Our selection of high-quality fencing materials is unmatched in the Minneapolis St. Paul area. Our well-trained and experienced Installation crews get the job done right and on time every time. If you’re considering adding a new fence or replacing an existing one, you’ll be assured of complete satisfaction when you choose us. Your home or commercial property is uniquely yours, so you want your fencing to reflect your unique taste and vision. As the top fence builder in Minnesota, we offer an endless variety of choices, letting you customize the design and style in every way. 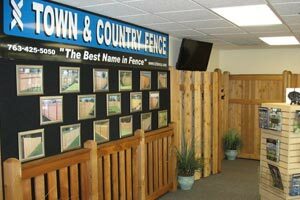 When you visit our convenient showroom, just off Highway 169 in Brooklyn Park, MN, our consultants can show you how easily you can design a customized fence that is yours alone. Or call us and let one of our consultants visit your property and help you choose the options that are perfect for you. We’ll gladly provide you with a free price quote. 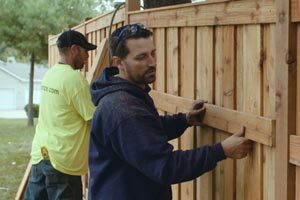 Then, one of our experienced crews will install your new fence quickly and professionally, using only the best materials and installation techniques. Whatever your fencing budget, our fence company has many options for you. From a simple chain-link fence for your backyard or commercial property, to custom-designed ornamental aluminum or steel fencing, we can meet your needs while keeping the price highly affordable and competitive. From our carefully selected materials, manufactured by the leaders in the industry, to our meticulous installation standards, a fence designed and installed by our company is always built with care and created to last. True economy is found in durable materials and flawless installation, not in the false economy of cheap materials and substandard workmanship. Because of our volume-purchasing arrangements with manufacturers, we are able to pass our discounts to our customers. We offer some of the lowest prices for fence installation and materials. We stand ready to provide you an accurate onsite cost estimate. Whether you visit our beautiful showroom, have one of our experienced and courteous consultants visit your property, or explore our website, we’re dedicated to helping you understand the choices that help you get exactly what you want and the quality you deserve. We encourage you to explore the pages of our website, learn more about all the types of available fencing, and view our photo galleries. Once you’ve narrowed down your choices, Contact Us for a free consultation and estimate or come to our showroom, where you can see the quality and beauty that’s available. We’ll gladly answer all of your questions, help you make the final choices, then get started creating your beautiful new fence. 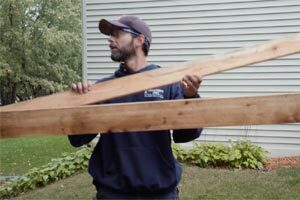 At Town and Country Fence, we’ve built tens of thousands of fences in Minnesota in our 30+ years in serving Twin Cities homeowners and commercial property owners. Our huge selection of materials is unmatched anywhere, and our pricing is competitive with any other fence company. What sets us apart is our dedication to quality in materials and installation, along with our legendary customer service. From our friendly, expert consultants to our experienced crews, you’ll get the quality and value you expect and deserve. Contact us today or visit our Minneapolis fence showroom to get started on your project – the very best investment you can make for your home or commercial property.